(W) Courtney Carbone (A/CA) Eric Doescher. 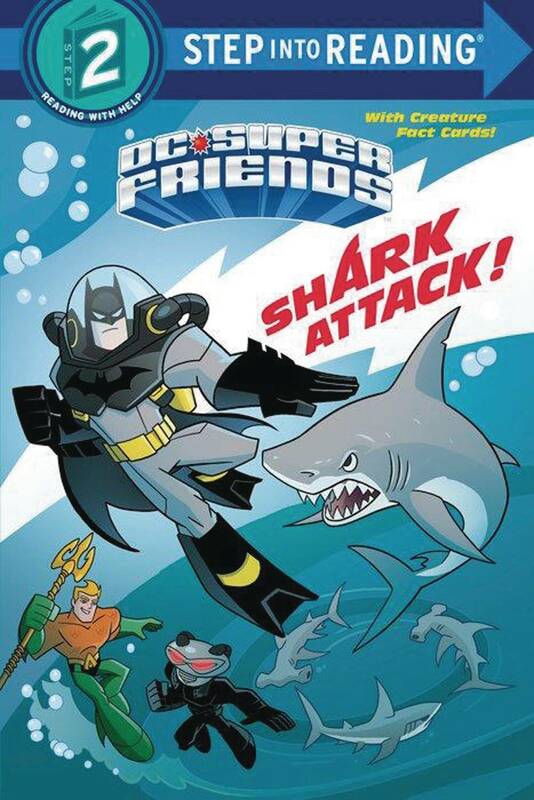 Batman takes on a sea of sharks in this DC Super Friends Step into Reading book, plus super-cool fact cards! When the deep-sea villain Black Manta is up to no good, Batman and the DC Super Friends have to battle a sea of sharks and other underwater creatures to stop him. Boys and girls ages 4 to 6 will love this Step into Reading leveled reader featuring an action-packed super hero story, plus real nonfiction facts about sharks! And super-cool fact cards add to the fun..